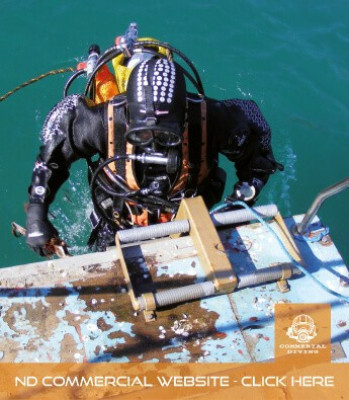 The Divemaster Commercial drysuit is the first choice of active sport divers and the UK’s major commercial diving schools. 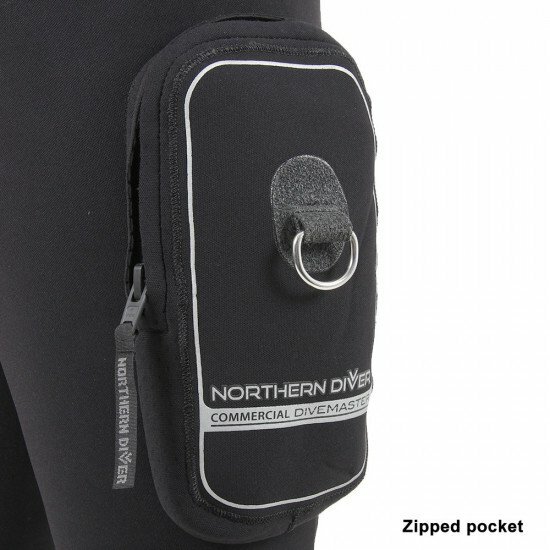 Manufactured from a specially formulated 5.5mm hyper-compressed neoprene, the Divemaster allows freedom of movement and real diving flexibility, as well as being exceptionally hard-wearing. 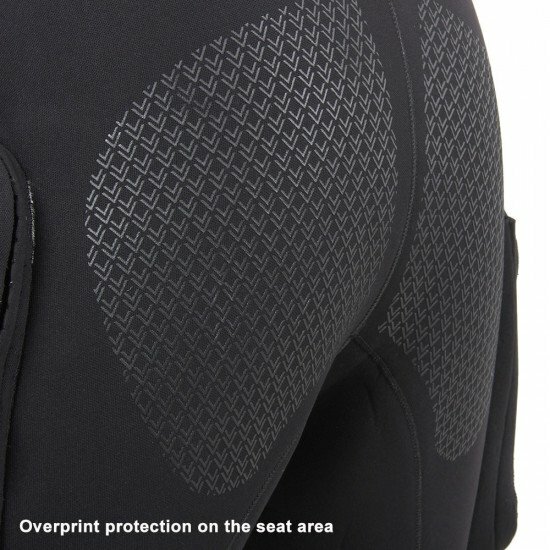 Durability is increased by the heavy-duty piqué nylon outer shell. 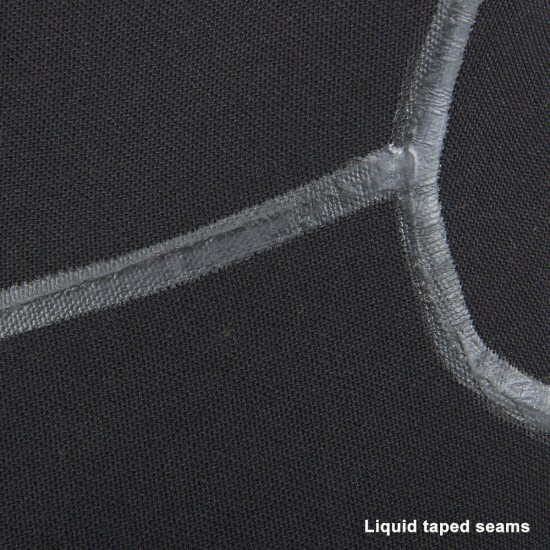 Hyper-compressed is not just a name to increase product appeal. 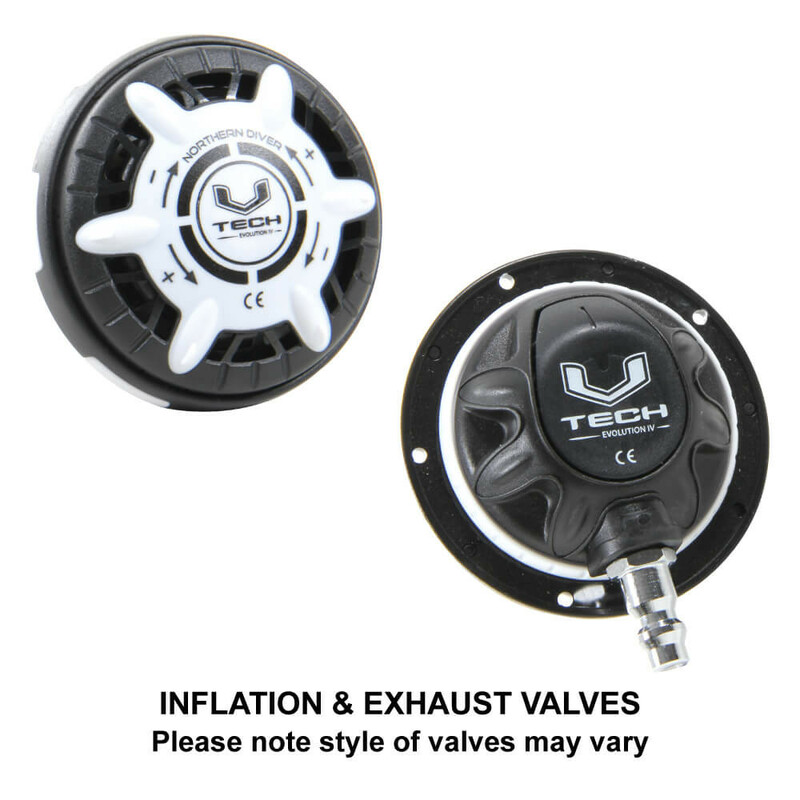 This is a full commercial process, requiring the use of a 500 ton heated press. 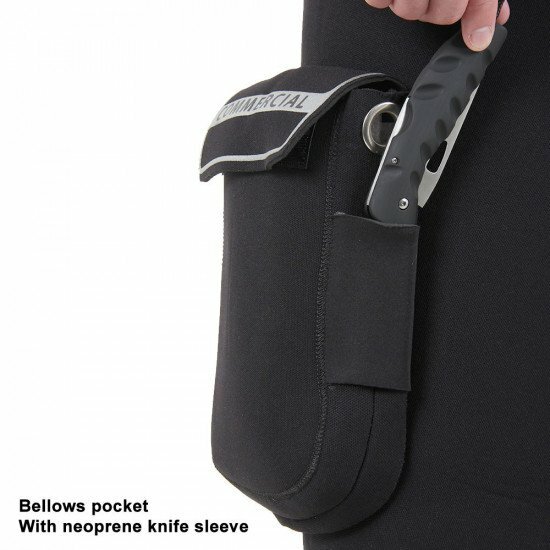 Although this may sound excessive, this is a necessary process to achieve the highest possible standards in neoprene manufacturing. 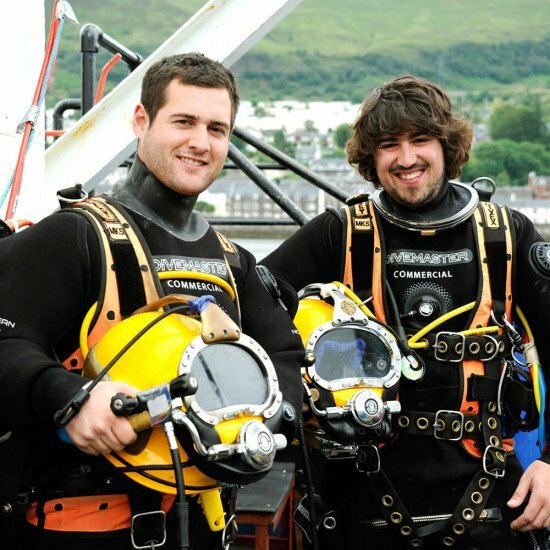 The Divemaster Commercial can be used in conjunction with any undersuit in our range, for example the Thermalux® in mild European waters or Metalux® for more extreme diving conditions. 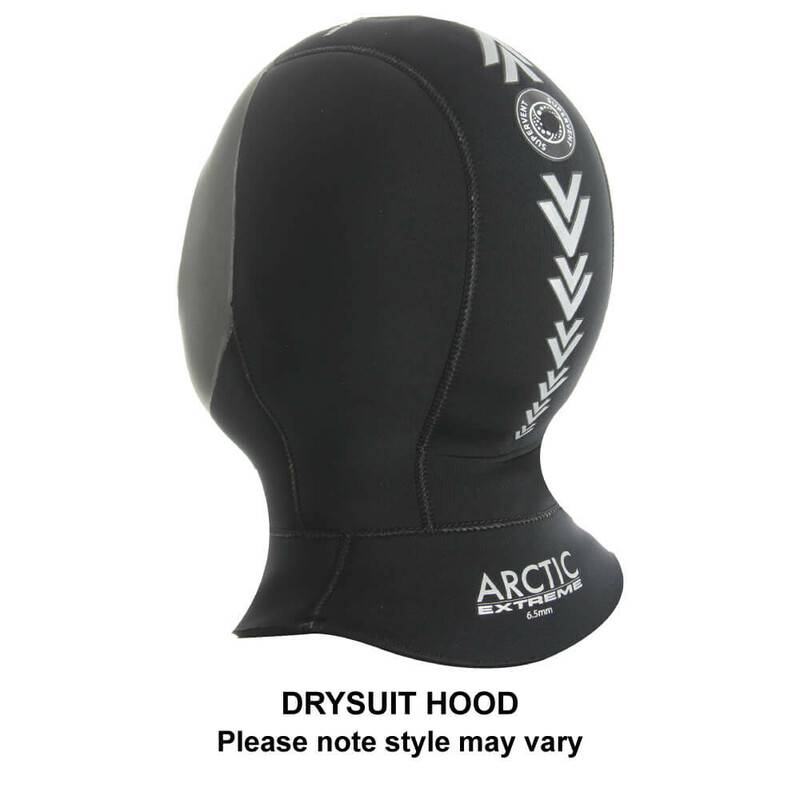 Our unique Ti-Ax® Thermacote® heat reflecting system is under the inner lining inside the drysuit. 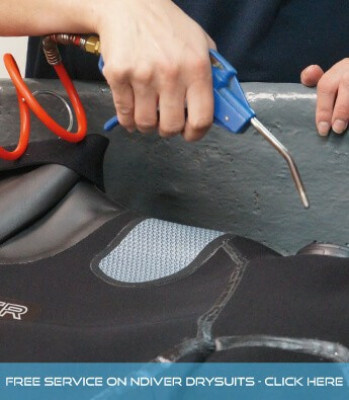 With a host of premium features as standard, this drysuit really is a leader in reliability. 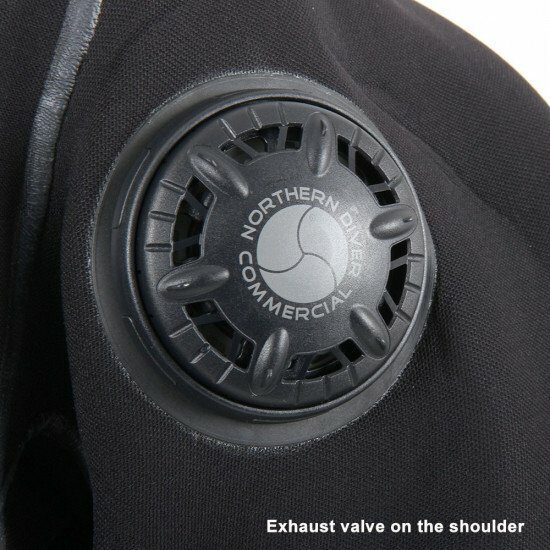 It gives the wearer a comfortable environment when diving and can be pitted against the harshest of diving scenarios, such as ice diving and long duration cold water diving. 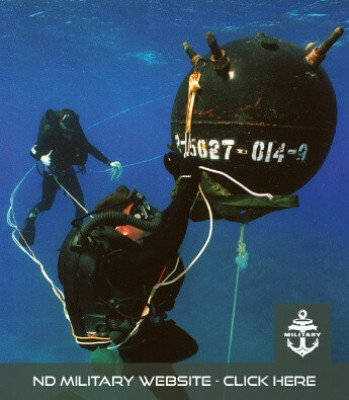 The Divemaster Commercial is available as a perfectly fitting made-to-measure suit, but with standard off-the-peg sizes, most divers will be able to make an instant splash. 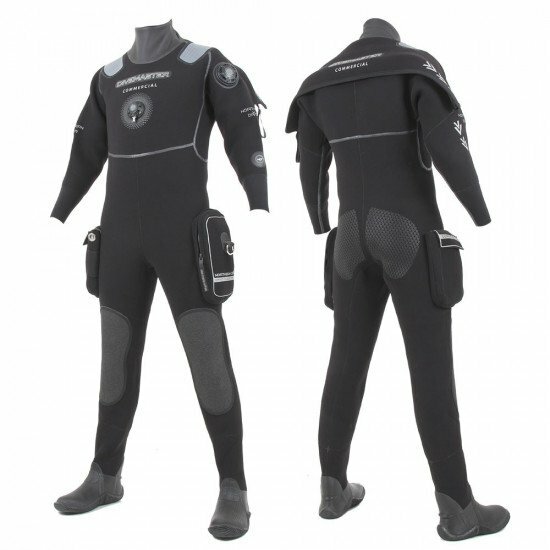 All Northern Diver stock suits are fitted with standard sized neck/wrist seals and boots/socks that are proportionate to the size of the suit. 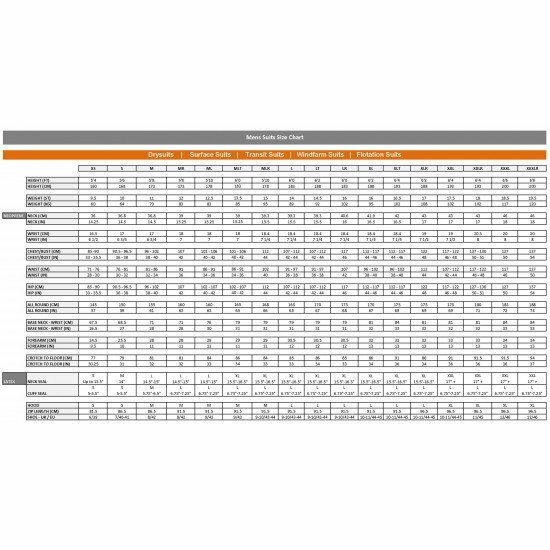 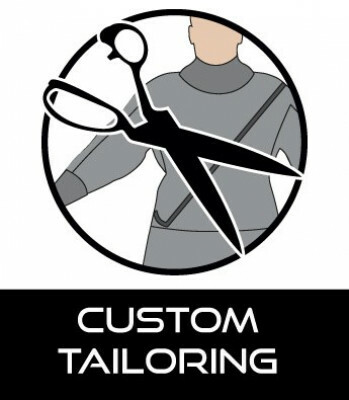 Please refer to the Suits Size Chart in the documents section to view the sizes fitted. 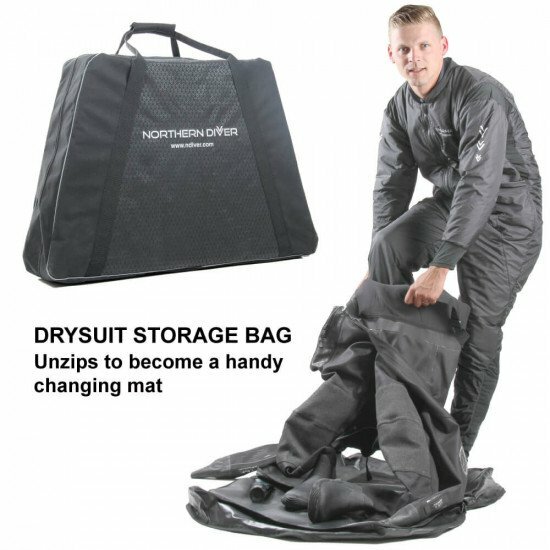 Supplied with neoprene hood, storage bag (folds out for use as a changing mat) and a maintenance repair kit.If you require a made to measure suit please contact us. 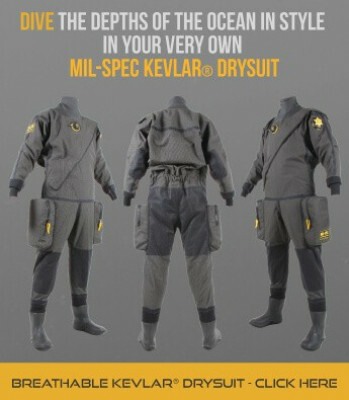 If a stock drysuit is not for you why not build your own? 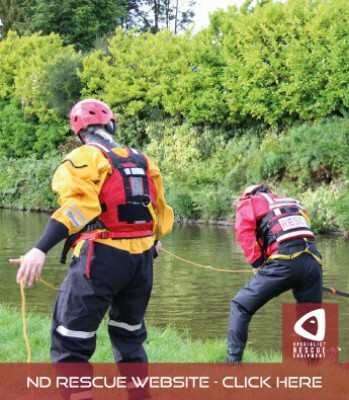 Using our Made To Measure system you could have a drysuit meant only for you, perfect for your personal requirements. 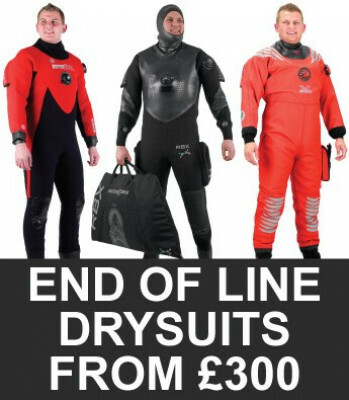 You can add numerous elements to your drysuit. 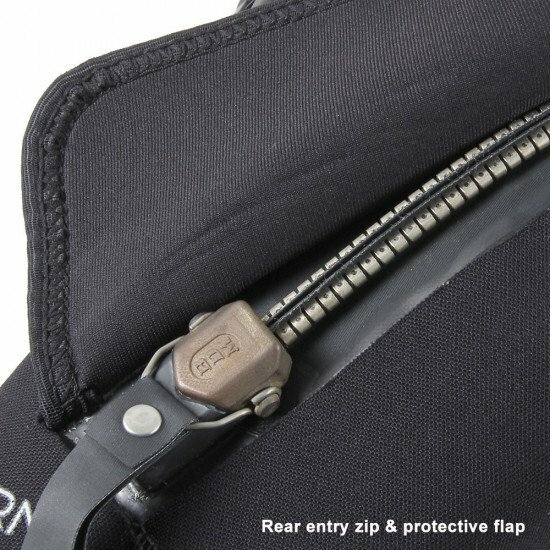 Choose fabrics, pockets, boots, zipper and seals that fit your unique specification. 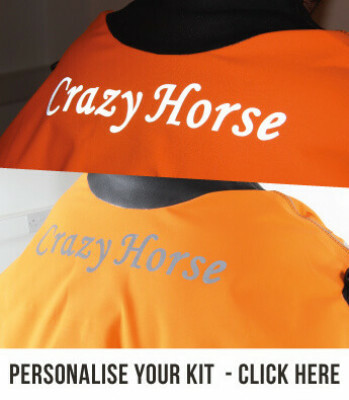 Complete your drysuit by personalising it with you name or company logo. 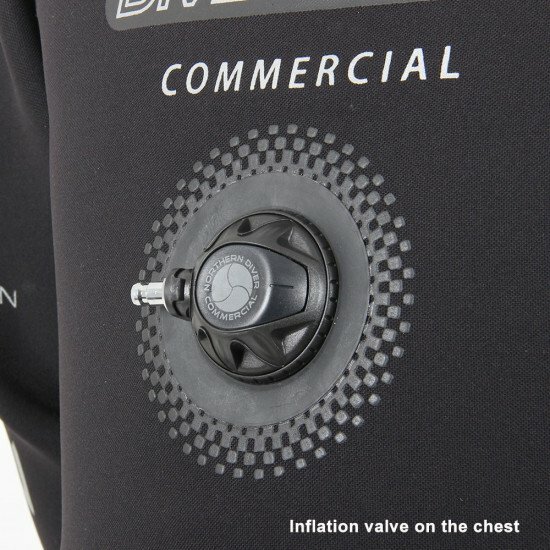 Our one-way Super-Vent valve removes trapped air from the inside of the hood, increasing comfort and ensuring a perfect fit throughout the duration of the dive. 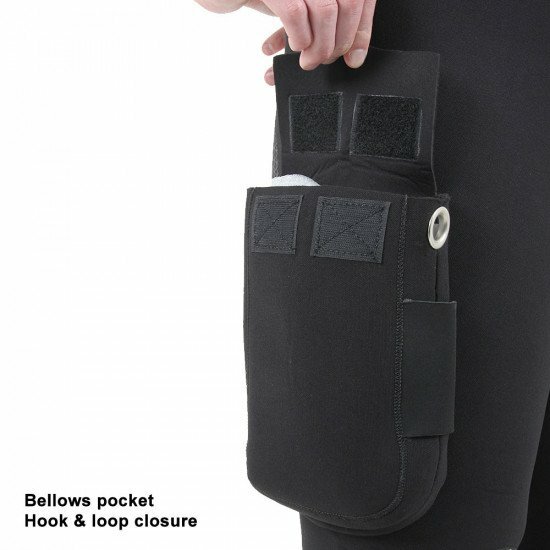 A 4-way stretch neoprene, super stretchy comfortable and versatile. 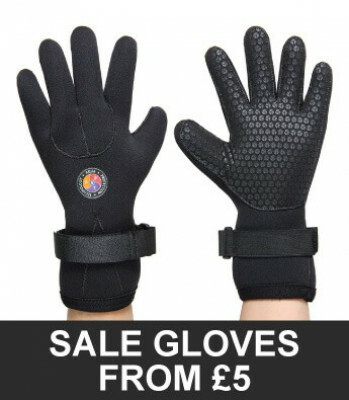 Used on the neck and wrist seals of drysuits and wetsuits.